A spoonful of sugar. 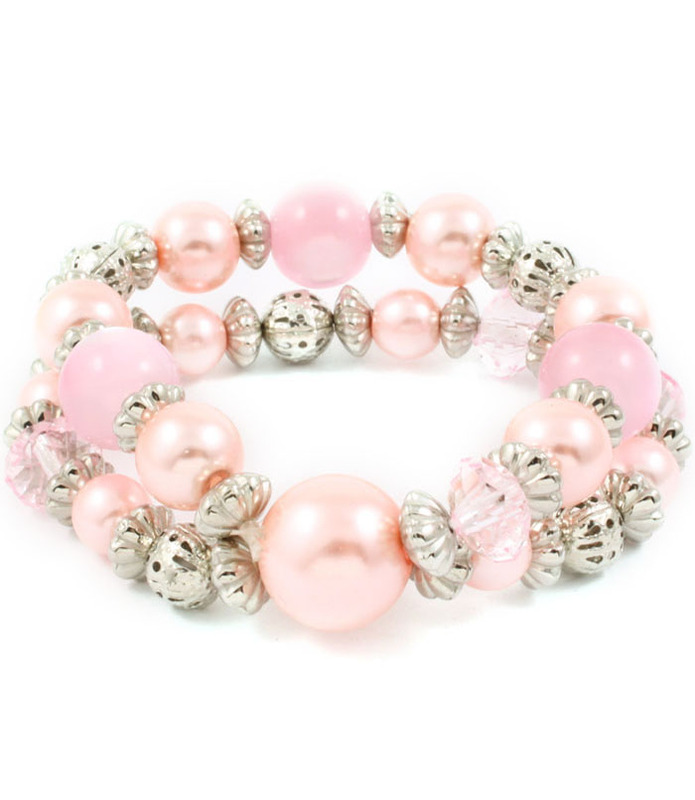 The Norma bracelet intertwines two strands of powder pink variegated beads and silver spacers on a comfortable stretch. The sweetest addition to your arm party. At Oz Bling cheap jewellery doesn't mean cheap quality. We guarantee high standards of quality at lowest prices.